First what happens is you see the light. The light is the first thing you see. You don’t hear anything, you see the light. 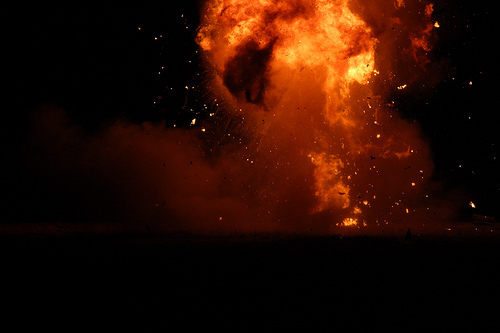 Chris Johnson tells the story of the time he saw 2500 lbs of C4 explode. This piece was recorded as part of Vocalo.org‘s initiative Your Digital Life: Stories from the Web. Photo by S.F. Pitman. What’s a Little Money Between Friends? Well done, Robin! And thanks for showing us how you create your work.